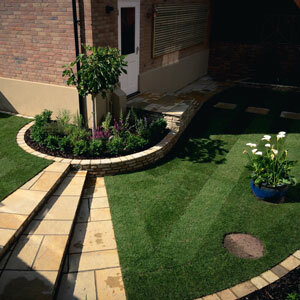 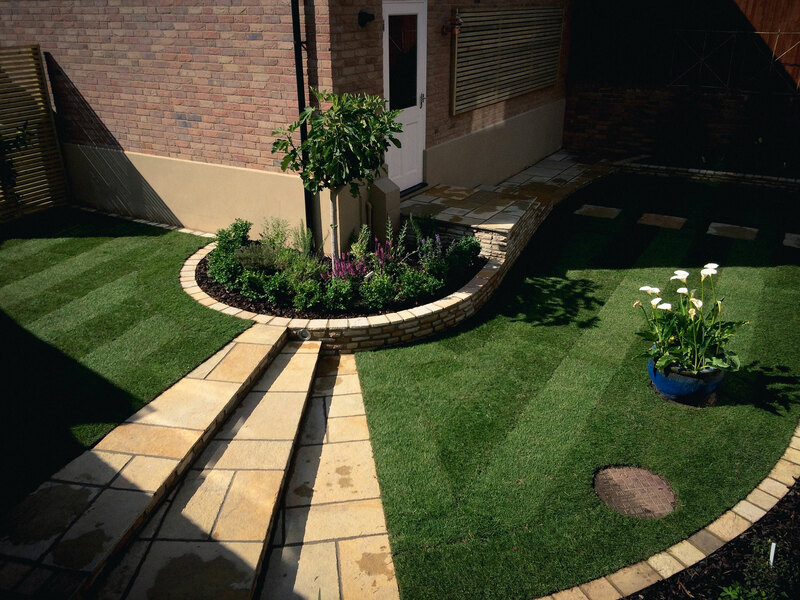 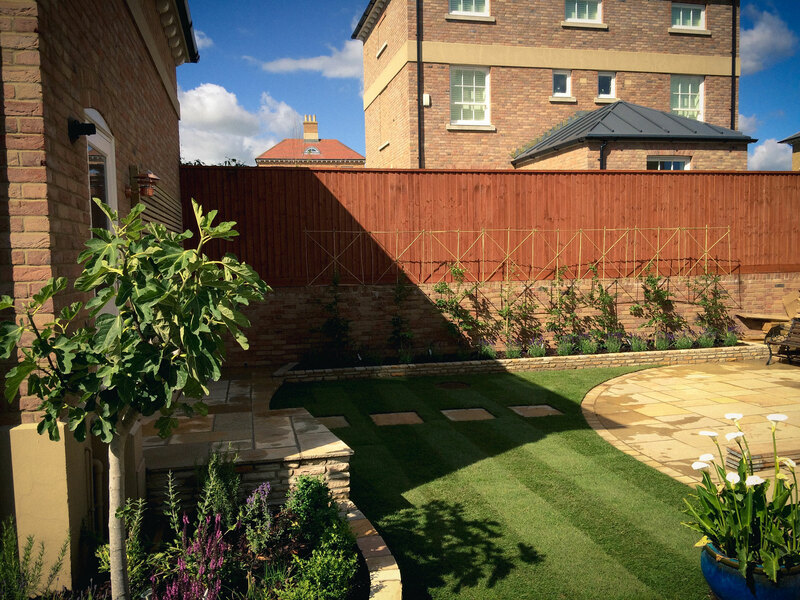 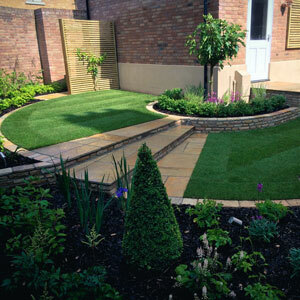 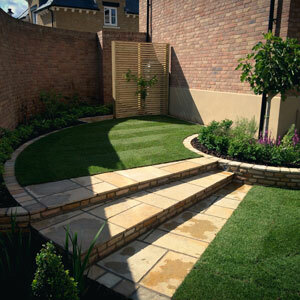 To make the most out of the space of an awkward shaped garden by connecting the disjointed layout to encourage the use of the whole area. 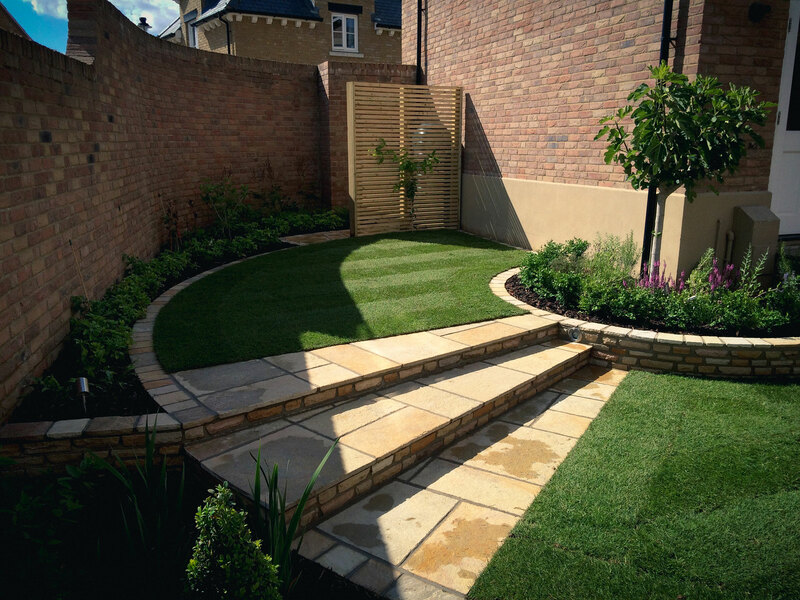 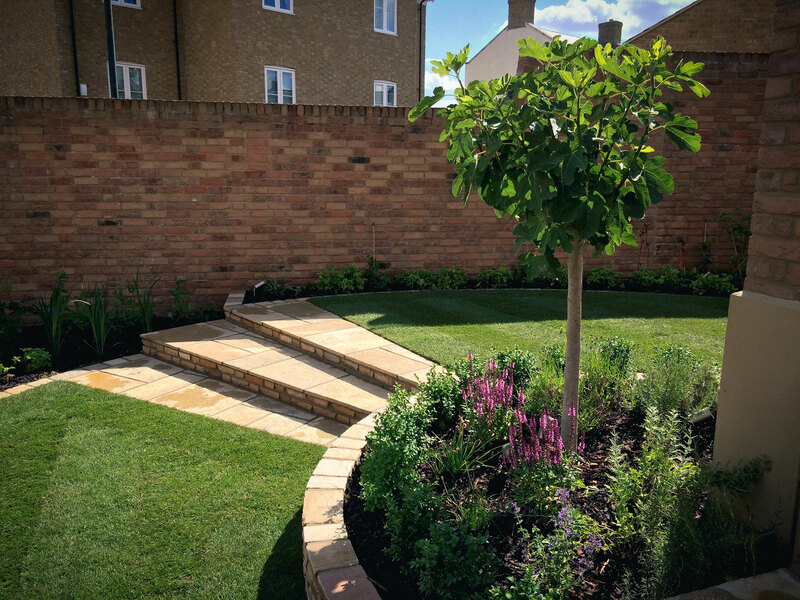 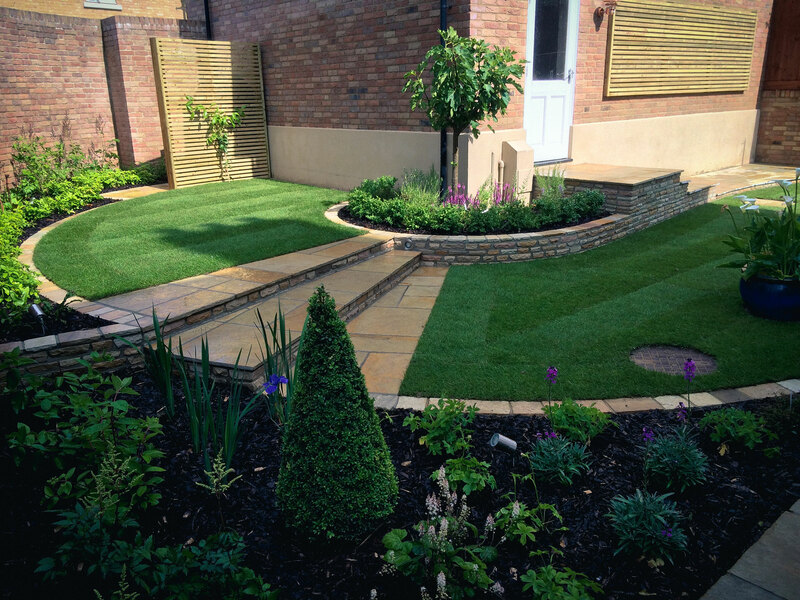 A large S-shaped lawn links the garden sections together, and a limestone patio and sandstone walls define the sweeping S-shaped lawn, which links the garden sections together, whilst a fan-shaped feature step accommodates the changes in levels. 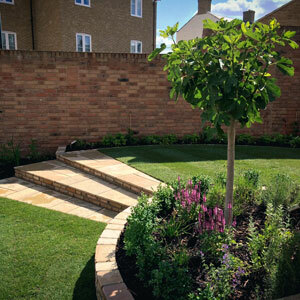 The sunny aspect of this garden meant that olive and fig trees could be used to give height, with mixed perennials such as salvias, lavender and agapanthus to add summer colour to the borders.